I’ve been fortunate to receive some media attention following the publication of Bleeding Talent (which effectively sold out on Amazon.com & is being filled on back order, but seems available at bn.com here). Foreign Policy had asked me weeks ago for permission to publish an excerpt, which they edited along with some extra remarks from me into an article on their website (it has been the #1 most read piece on their site since last Friday, and in my opinion is as good as anything in the book itself — that’s the power of good editors). However, even before it was published, the New York Times ran a positive review in the weekend paper, which has opened many other doors. I never expected an academic book about personnel policy to get this much media attention, and I suspect the explanation is that it touches a nerve with the majority of enlistees and officers who serve. I know there are a lot of folks who want to discuss the ideas in Bleeding Talent with me personally, which is great. I welcome comments here on this post and will be happy to interact. Two rules: first, no personal attacks or curse words. Second, the first rule shall be suspended for Navy football. Or you can write to me privately at tim AT hudson.org. HUDSON Event : scheduled for January 31, 10 AM at Hudson HQ (you can register or watch live via web streaming via this link at hudson.org). The event will be hosted by my colleague Chris DeMuth, including a panel with GEN Jack Keane (USA, ret. ), LGEN David Barno (USA, ret. ), and COL Martha McSally (USAF, ret). May be covered by C-SPAN. IT was once a wry joke that the military was designed by geniuses to be run by idiots. Not anymore, Tim Kane writes. As an all-volunteer force, the young men and women who serve these days are top drawer; it is the institution that is idiotic, he argues. And he has a drastic remedy in mind: a dose of classic economics. … Mr. Kane knows whereof he speaks. An Air Force Academy graduate, he worked in military intelligence for five years before resigning, in the mid-1990s, after the Air Force declined to send him for graduate studies in economics. He is now chief economist at the Hudson Institute, a conservative research group. In the years between, he helped start a couple of small companies and picked up a taste for entrepreneurship. … In 2005, Mr. Kane made a mark with empirical studies demonstrating that the “myth of the stupid soldier” is indeed a myth. His data showed that the enlisted ranks were brighter and better educated than their civilian counterparts. 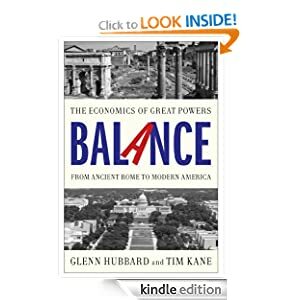 … ACCORDING to Mr. Kane, “the root of all evil in this ecosystem” is the Defense Officer Personnel Management Act, enacted by Congress in 1980 to standardize military personnel policies. But the system has defied efforts by successive defense secretaries to bring about change. That act binds the military into a system that honors seniority over individual merit. It judges officers, hundreds at a time, in an up-or-out promotion process that relies on evaluations that have been almost laughably eroded by grade inflation. A zero-defect mentality punishes errors severely. The system discourages specialization — you can’t expect to stay a fighter jock or a cybersecurity expert — and pushes the career-minded up a tried-and-true ladder that, not surprisingly, produces lookalikes. As a mid-grade Army officer subject to the personnel systems you mention, I feel compelled to offer an opinion regarding the article in FP. The bottom line is that there are several aspects of officer management that we may not have totally right, but in the aggregate it serves the force well. The officer in your article made a choice: when he willingly ‘declined with prejudice’ he knew the ramifications of that action. We should thank him for his service and be appreciative of his time served. Should he have been allowed to transition branches? Maybe… We are only presented with a small portion of the data to make the decision, and are given no rebuttal from ‘Hoffman’ as to why that may have happened. Was there an officer that was not ‘terminal’ slated for the position that he was occupying? Was USMA already in excess of their allotted quota? We’ll never know. How he got to that stage of his career was deliberate; we manage people, especially senior grades, a little closer than your article alludes to. In the next few years you are going to be able to find another ‘Hewitt’ at every turn. They have been told for 15-17 years that they ‘walk on water’ and that they are ‘among the best’ when in fact they aren’t much better than many of their peers. They will convince themselves that their declination of command would ‘send tremors through the Army’ as your article states. So, when a list gets published for competitive assignments (or the assignment that THEY think they are best suited for) and their name is not on it, they believe the system must have failed. Our real problem is not ensuring that we get it 100% right for every individual. Our problem is to ensure that we have a mid-grade officer corps that is fully bought-in to the Army culture and that we are postured to fight and win wars. This subtle difference in defining the problem makes all the difference in the world in how we manage personnel. This allows for the officer who is responsive to the needs of the Army to be favored over one who wants to do their own thing. Our force is manned with phenomenal individuals who have taken the fight to the enemy for more than a decade now. Of course there are a few that shouldn’t have made it through; because we are dealing with people, there is no system that would enable us to get it 100% right. 1. Don’t throw the baby out with the bath water; don’t get rid of the current system in its entirety. The system might be cumbersome, but it meets the challenges of managing tens of thousands of officers. Make incremental changes that account for the realities of executive and legislative oversight, a declining budget, and unpredictable demands on the force. 2. Leverage select ideas from outside the military about what motivates the upcoming generation of Soldiers, but remember that our profession is unique. We are operating within a ‘closed-loop’ system, but your idea of allowing the services to re-hire veterans is worthy of consideration to mitigate this effect. 3. Remind the force that service is a privilege, not a right. 4. Continue to incentivize hard jobs (i.e. command), but we should put some effort in to what we do with the other 85% of the available population. I think we’ll find that many contribute in meaningful ways. In response to one of your suggestions, I do have a concern: Giving local commanders hiring authority will breed cronyism. Many times, the commanders that would be the hiring authority don’t have the big picture needs of the Army in mind, they are making their own organizations the best. The centralized nature of our current system allows officers to flow towards requirements more broadly. Thank you for your continued interest in making our military better- dialogue such as this can only contribute to the betterment of our force.